Cloud Concrete is the second Flash Show initiated by Unit 1 Gallery Workshop. Cloud Concrete is an exhibition of six artists that take their motivation and inspiration from the urban man-made reinterpreting into pieces that reflect back to the viewer a type of urban landscape/sublime. By removing and re-contextualising creating an instant familiarity that relates to the city experience. Each artist trolls the urban/man made experience for material and visual content that then become the ‘ingredients’ of their practice. Barry Reigate creates pieces that emulate a spontaneousness of street art, a graffiti that instantly appears familiar but decontextualised onto canvas the urban experience is transferred into the gallery. By isolating the drawn work onto canvas the airbrush pieces appear to be part of a larger missing piece somewhere out in the streets. Mike Ballard‘s “work is inspired by abstract compositions found in the urban environment, and the territorial gestures that divide public and private space. The work explores and translates the everyday visual language that the City’s infrastructure presents. 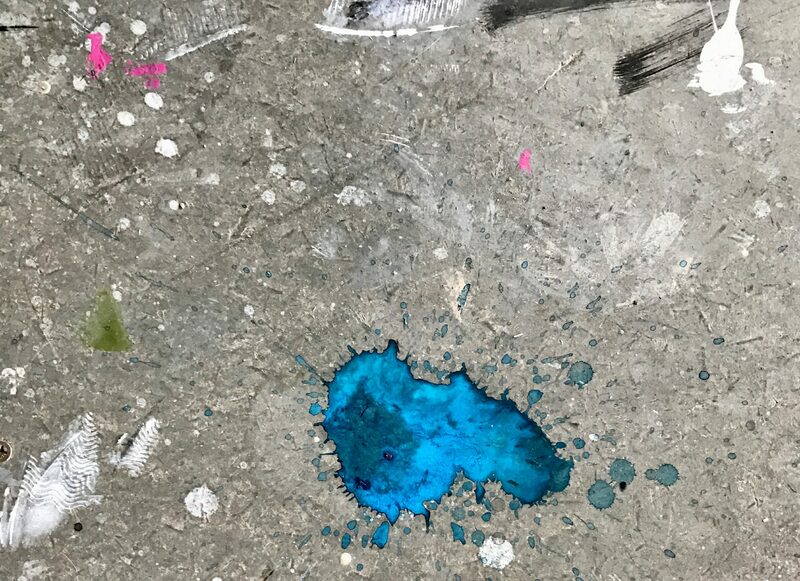 “My research takes the form of Flaneur style wanderings; by ‘finding’ such materials as building site hoardings, the remains of illicit advertising and painted pavement markings. They form a pattern of language that is driven by accumulation, regeneration and displacement, yet also display one of exclusion and escape. Stacie McCormick paints from the layered evidence of time in the urban landscape. Documenting, photographing and sketching from the city environ, McCormick endeavours to emulate this layered evidence of time in her gestural abstract painting practice. The happened upon is often enough and results in an photograph or will form the basis of a series of paintings. McCormick’s recent exhibition “In Search of Paintings’ was a selection of her photos that have inspired her painting practice and are her seeking affirmations of her practice in the urban world. Tim Garwood is also ‘hunting for the painting’ and finds the cityscape a type of material hunting ground of refuse and objects to inspire and motivate. Relying on the urban environment to provide constant surprise and offer up materials to utilise, Garwood literally uses the city to create. The paintings becoming themselves, more sculpture than picture as the materiality builds up a shape and form from the layered cycles of pushing the image.